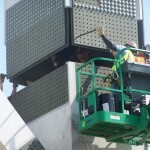 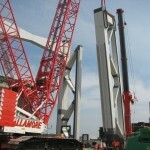 •	ENR articles featuring J.F. 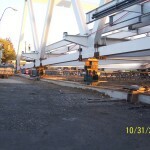 White Contracting Co. 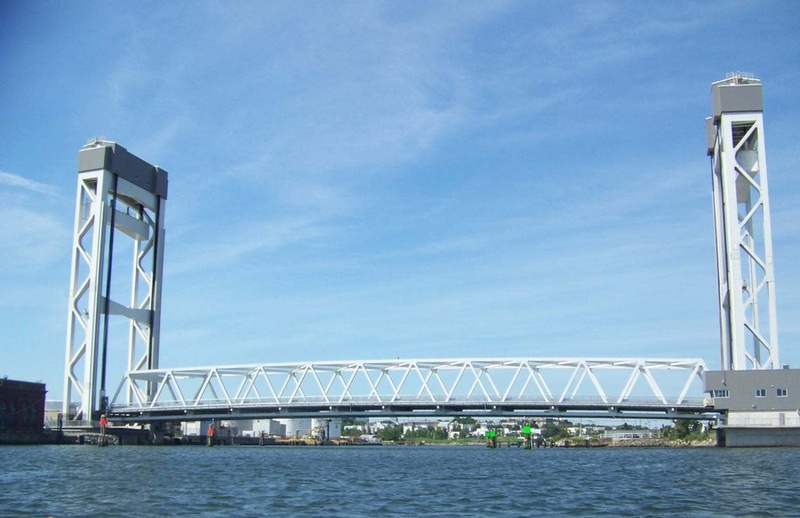 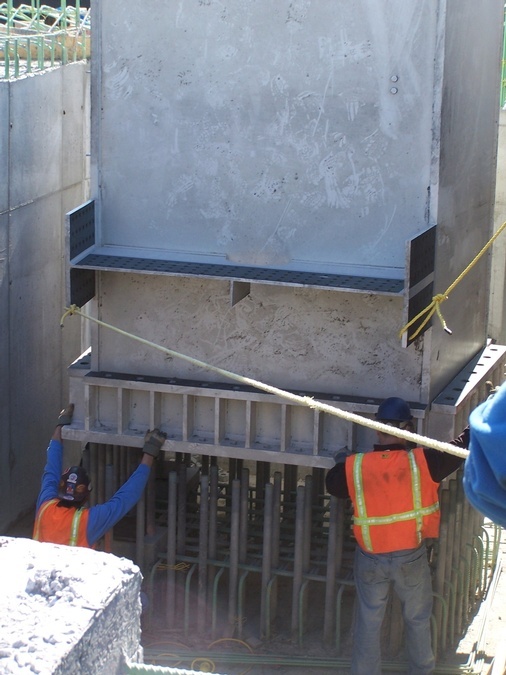 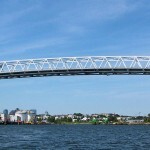 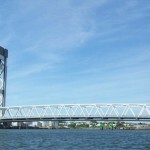 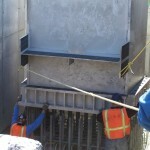 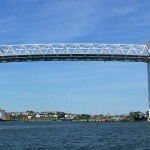 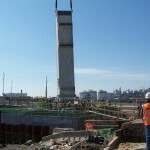 The 76 year-old, structurally-deficient drawbridge needed to be replaced to improve the efficiency and operation of the bridge for vehicle traffic and to allow for smoother safe passage of fuel barges, which supply 60% of the region’s residential heating fuel as well as fuel for Logan International Airport. 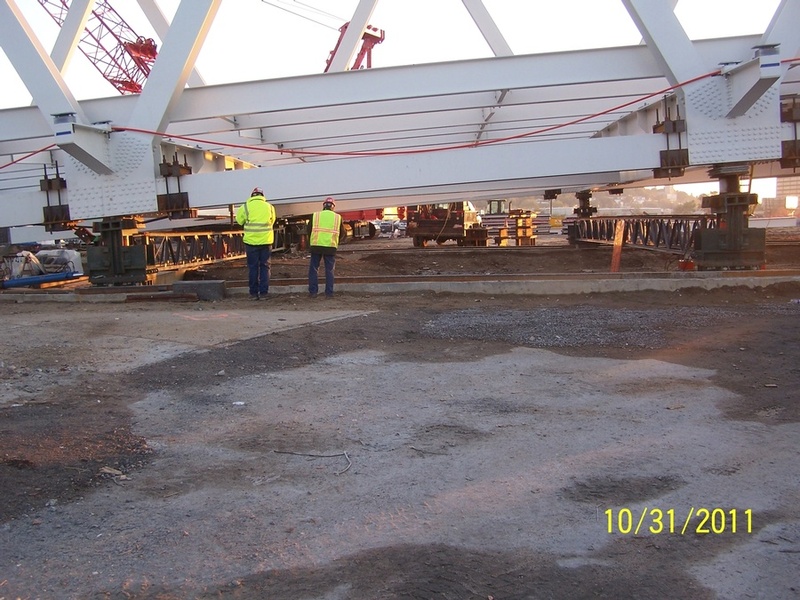 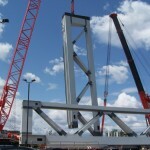 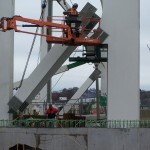 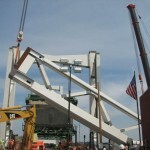 The new vertical-lift movable bridge spans 450 ft. and provides 175 ft. of vertical clearance when raised. 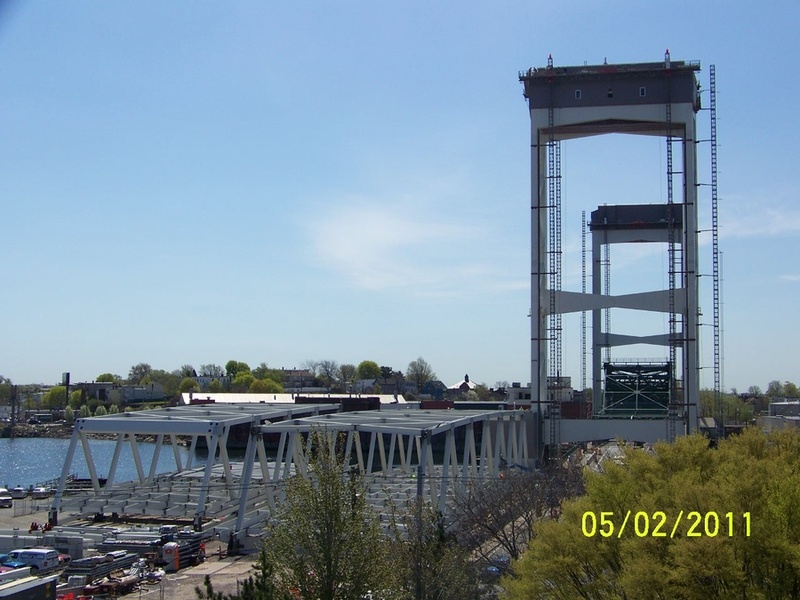 The new bridge and approach roadway match the footprint of the existing bridge and provide for four lanes of traffic (two in each direction) and two pedestrian sidewalks. 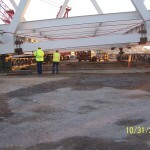 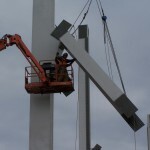 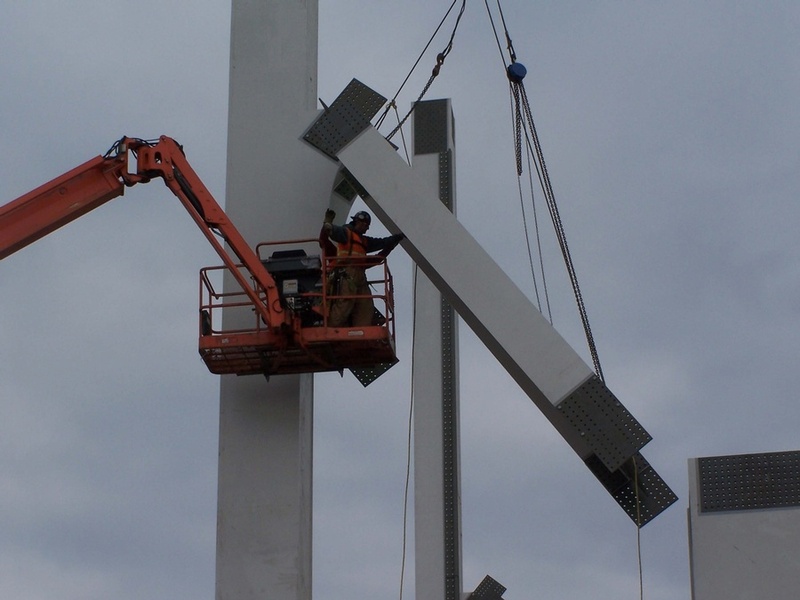 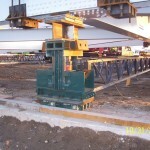 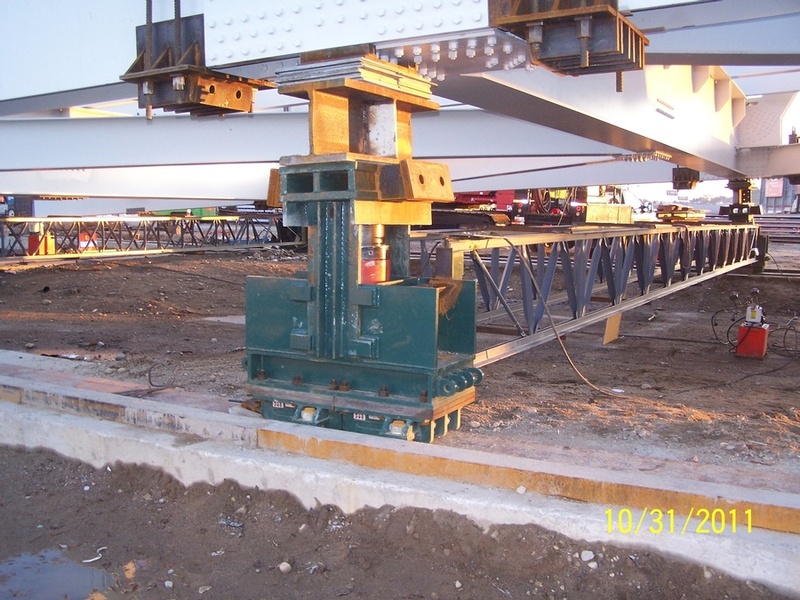 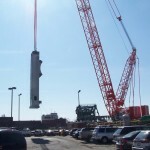 As part of the construction engineering services, FINLEY designed the specialized launching equipment, temporary supports, and launching geometry. 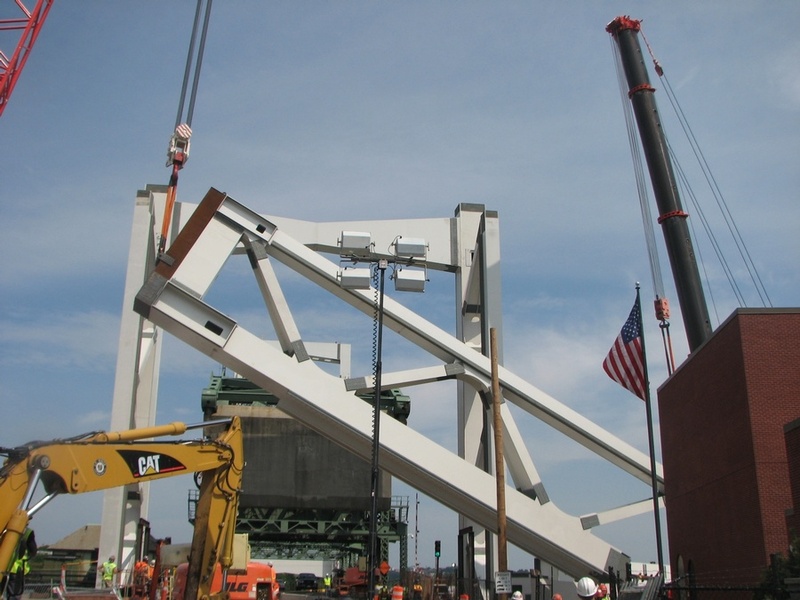 To accommodate the massive size and tight space constraints in the bridge area, FINLEY developed an erection scheme for the new 450 ft. long vertical lift bridge that allowed the truss to be erected on-site, side launched, and incrementally launched into its final position. 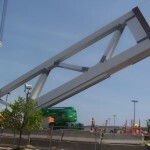 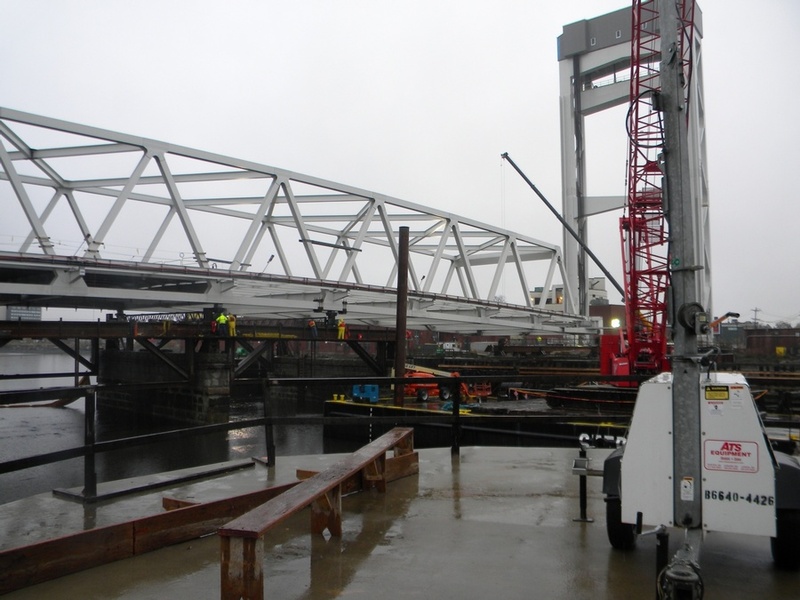 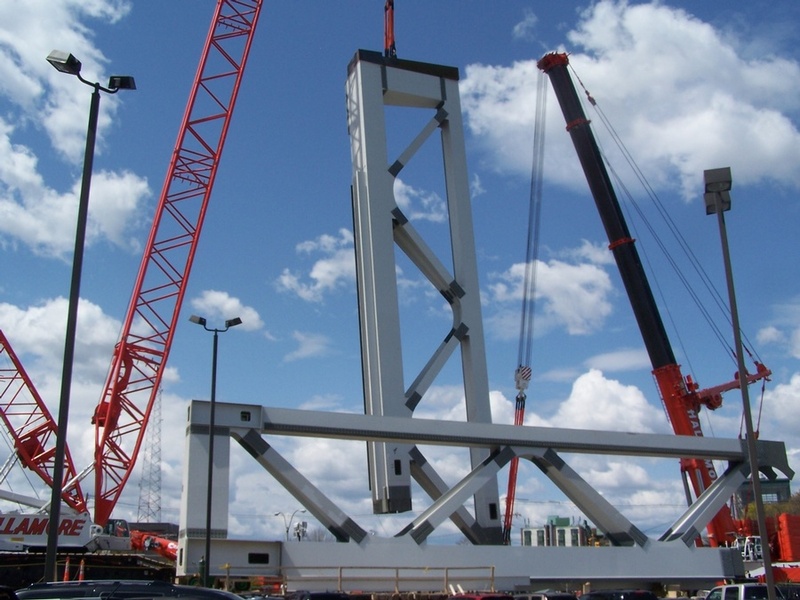 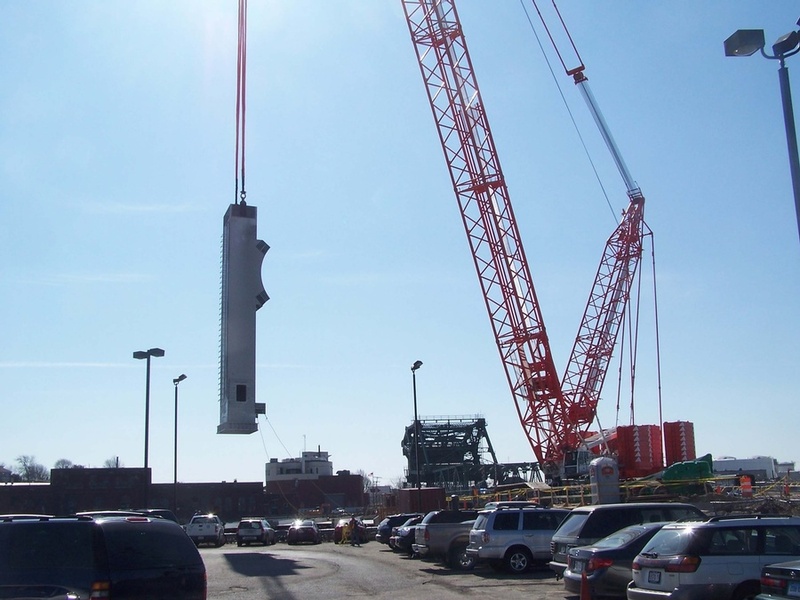 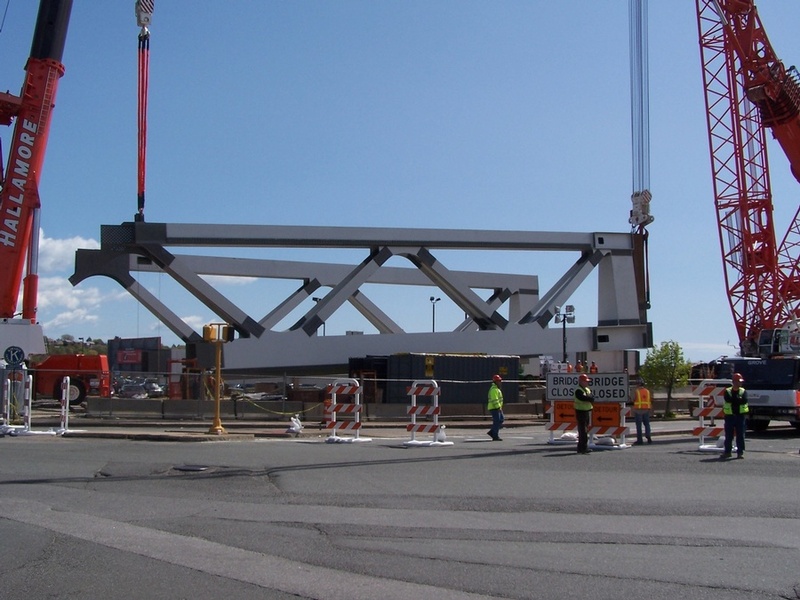 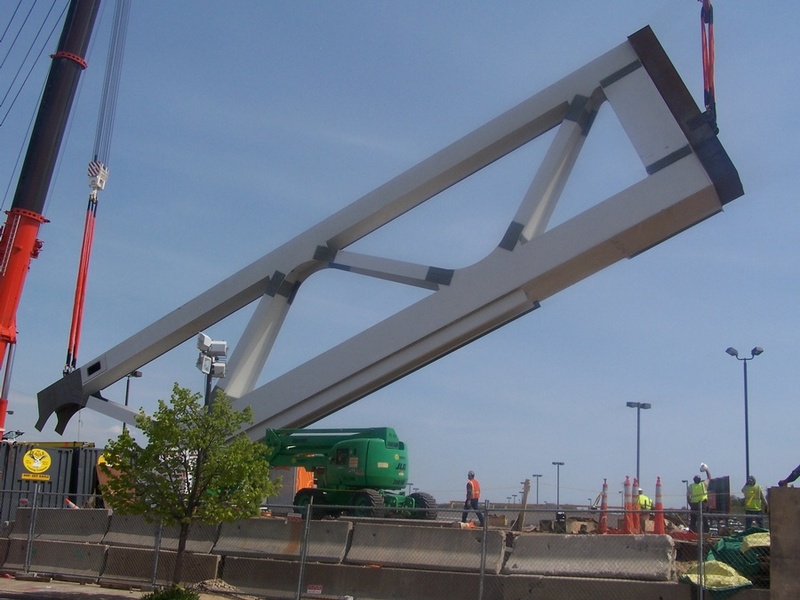 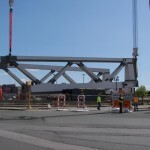 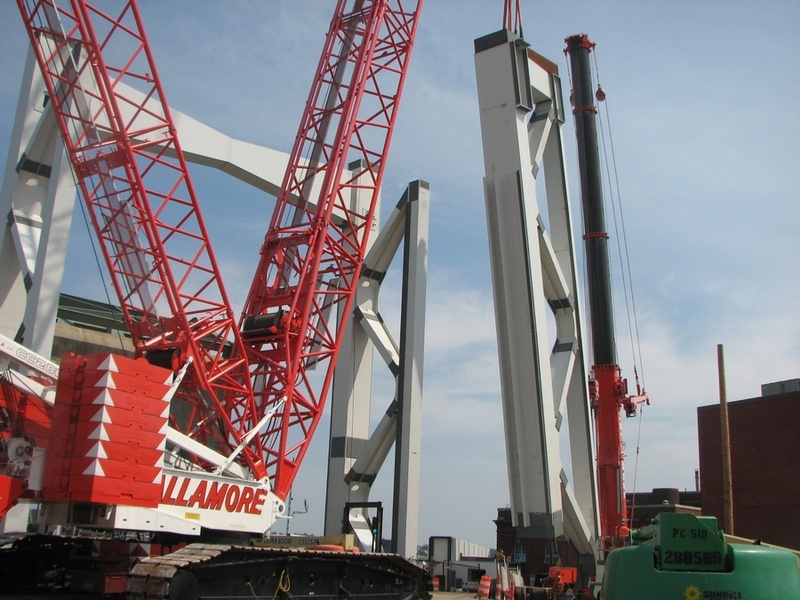 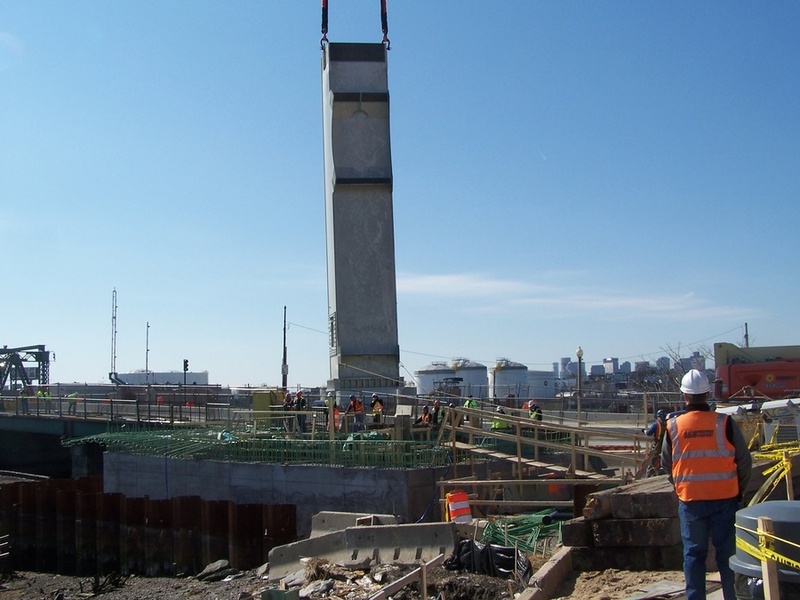 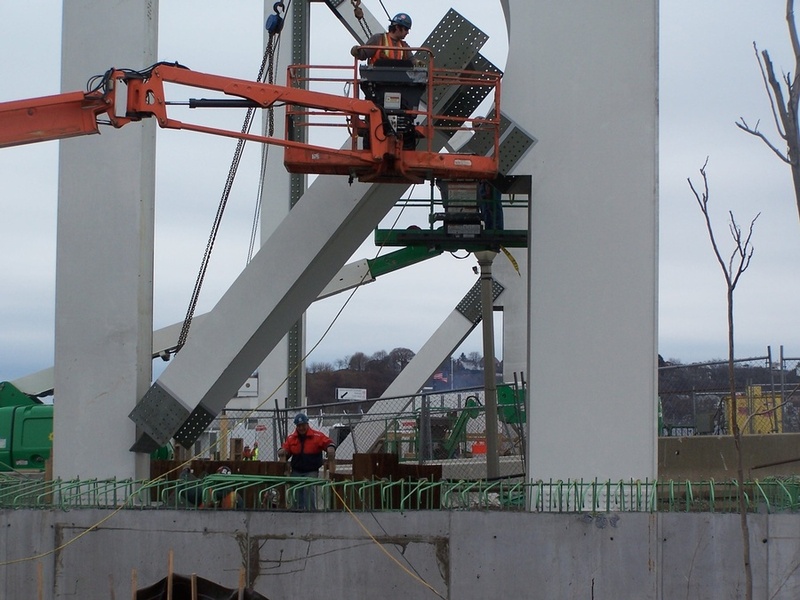 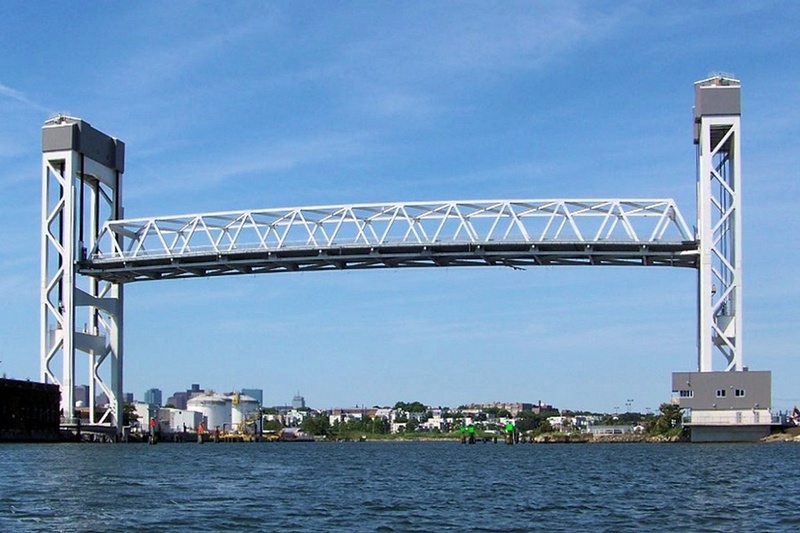 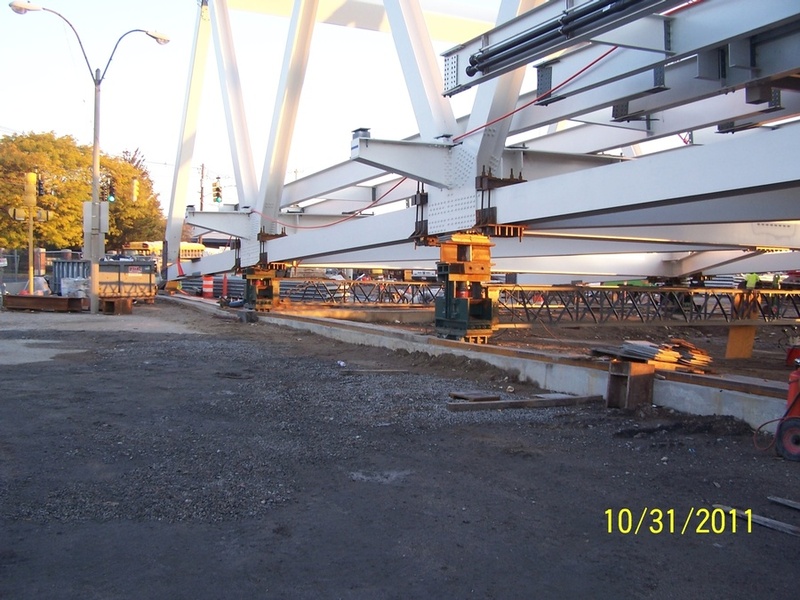 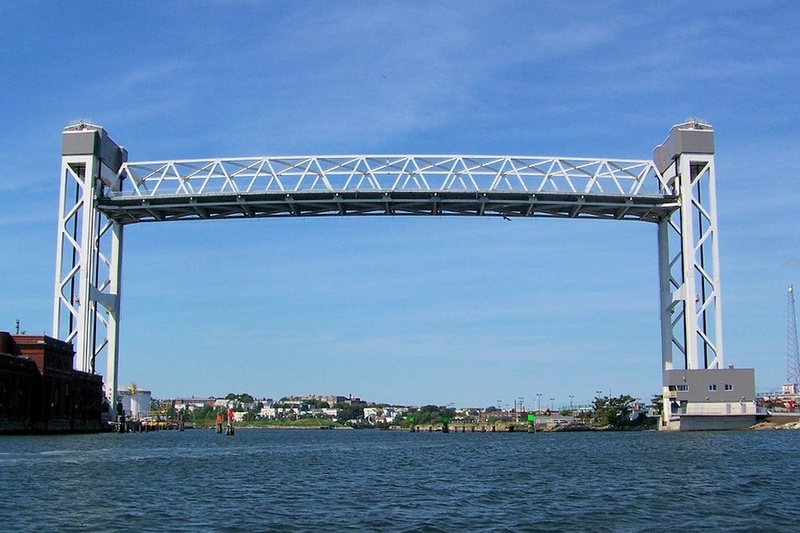 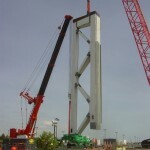 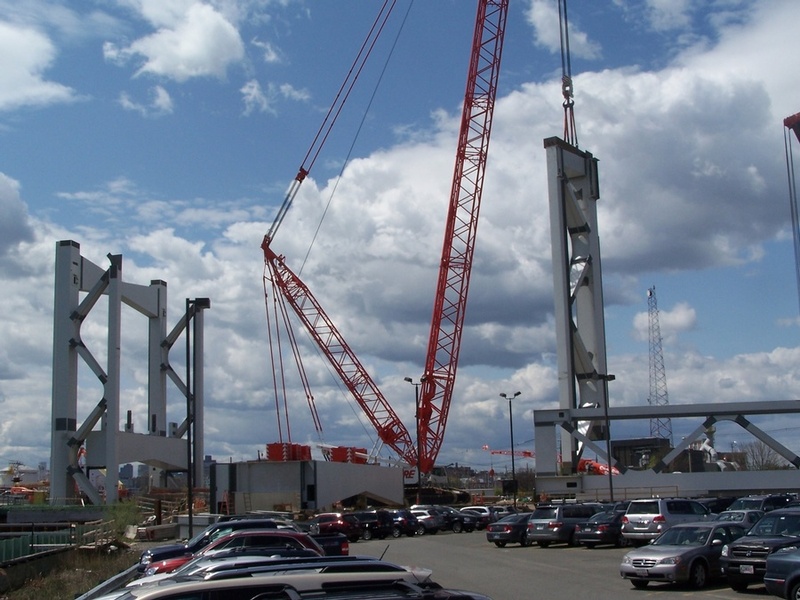 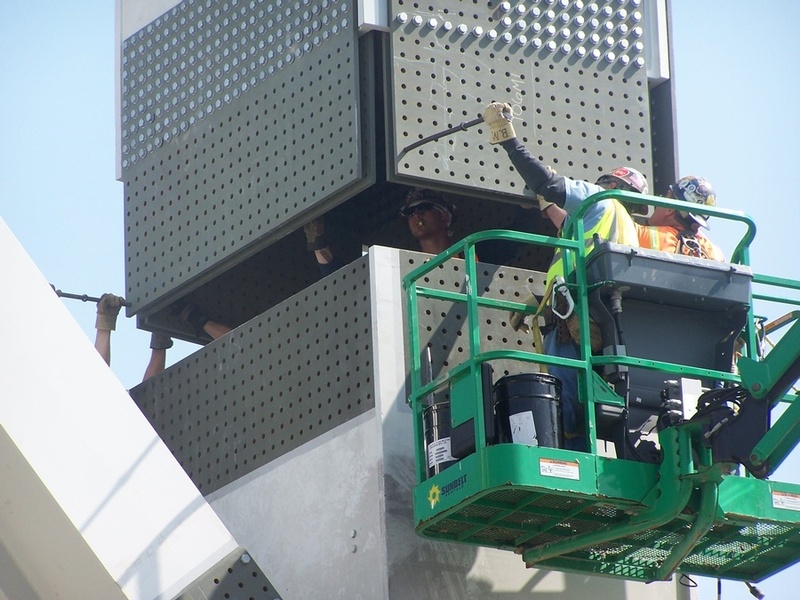 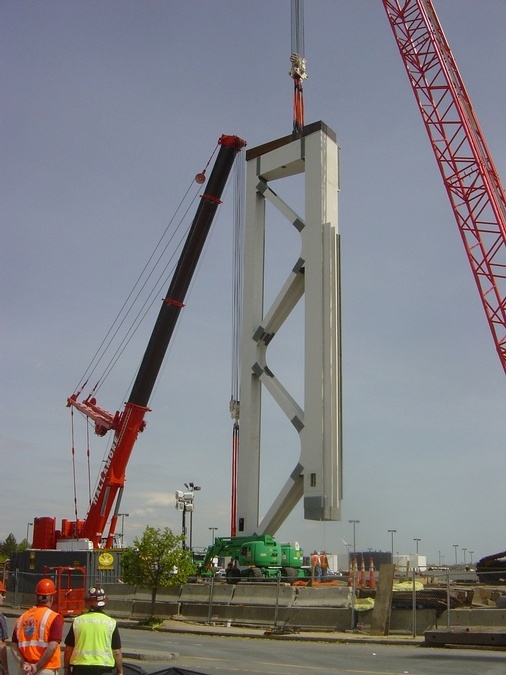 The launch sequence was particularly challenging as the vertical lift span truss had to be in position and raised within 60 hours to re-open this critical navigational channel in the Chelsea River. 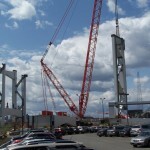 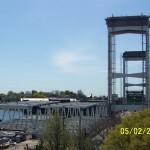 The new bridge is the largest permanent lift bridge built in Massachusetts to date.